Everyone has a job to do. Some people are sales clerks, lawyers, grocery store stock boys, or mailmen, while others are graphic designers, and television news employees. What all of the incredibly funny images on this list have in common is the fact that the epic failure that you see within them was done by someone who literally had just one job and he or she failed miserably at it. 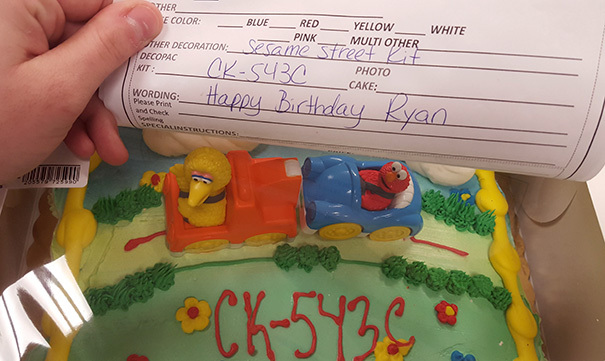 We have some people who decided to be too literal on their cake decoration instructions, we have those who designed things that were almost perfect but were a total failure in their lack of calculation, and we have some people who we are sure fell asleep on the job because there is no way that a conscious human being could make that much of a mistake. While we are all humans and deserve to catch a break every now and then, these mistakes take the cake (pun intended) and are too hilarious to just let slide. 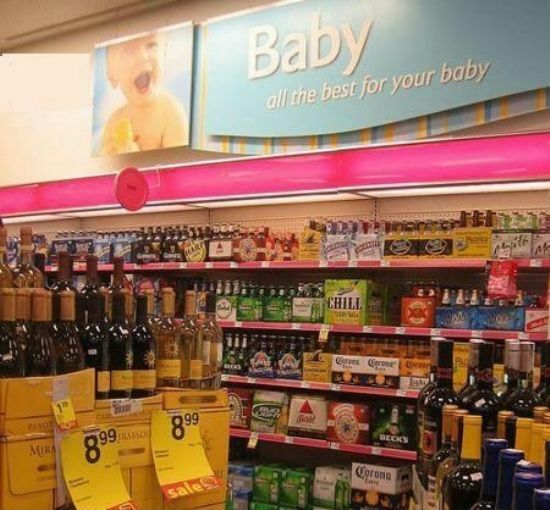 We have a cheerleader who held her sign up (very) wrong, a grocery store that publicized their drinking section as the baby section, and one person at a chocolate factory who thought it would be a good idea to play with the packaging of the product. We aren’t saying that we have OCD or something, but when someone puts an X where there should be an O, it goes back to when we were little children who needed to fit the square peg in the square whole but went for the red one. Go ahead and enjoy this list of really epic failures from people who had just one job to do but didn’t think it important enough to make it count. One of the first things we learn as children is how to spell. It takes some of us longer than others to master the concept. 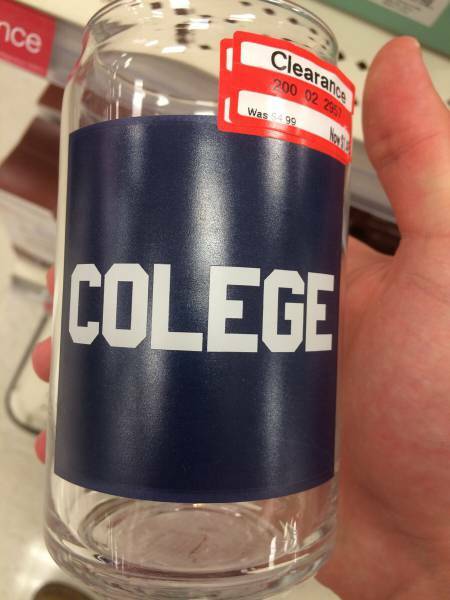 The person whose job was to type up the word on this glass jar, that was perhaps for a college fund, missed that extra ‘L’ in the word college, prompting us to roll our eyes and think that this individual really needed to go to college so that he could perhaps know how to spell the word college! 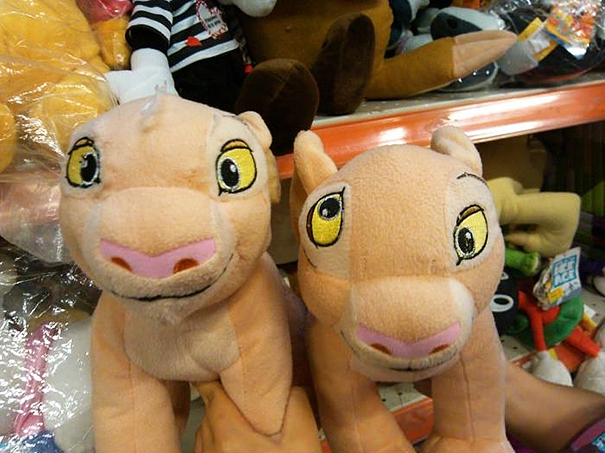 What did this poor stuffed animal do to deserve such a botched eye stitch job? The individual in charge of the eyes at the factory must have had an off day. While it is insanely funny to see the two dolls side by side, we can’t help but feel bad for the little guy! The world is split between two kinds of people – those that love Starbucks and those that don’t. The person who snapped this photograph is probably on the no love side of things. 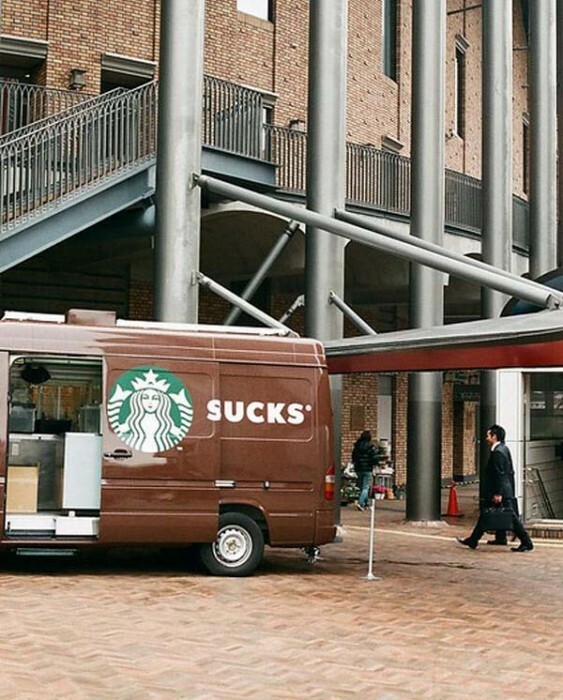 You would think that Starbucks would know by now that they need to redesign their delivery truck doors! Ladies and gentlemen, this is what happens when you park on the wrong side of the road. There are places where your car will get towed, or perhaps a parking ticket will be left on your dashboard, but no, not here. Here they paint over your car when it’s street signing day. The guy working that morning must have had a good laugh at his job well done. Anyone who doesn’t use an elevator in the building in question, is going to be met with a serious flaw in the stairway design. 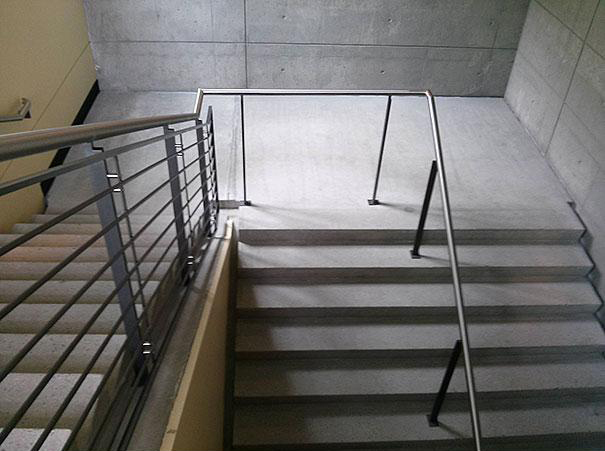 To whomever did not think this through and extended the railing to block half of the stairwell, we wish you a lifetime of having to duck over metal rods. 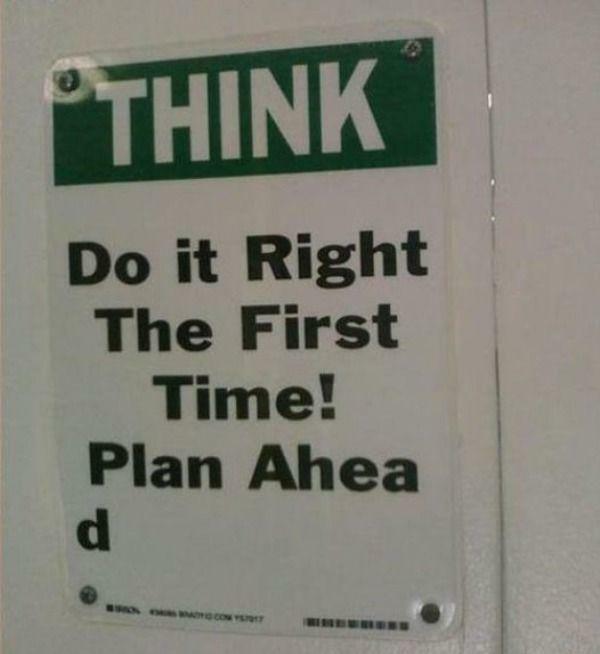 Hey you, yes you, the one who wrote this note: If you planned ahead like you wrote the rest of the world to do, you would have seen that the ‘D’ in ‘ahead’ didn’t fit that A4 sheet of paper you printed it on. So you should plan ahead as well, listen to yourself. 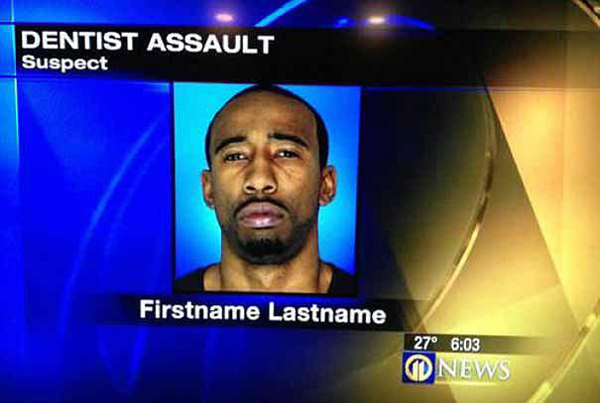 Someone messed up big time in the prime time! All this person needed to do was add the actual First Name and Last Name of the individual on the screen, but instead they wrote in First Name and Last Name. 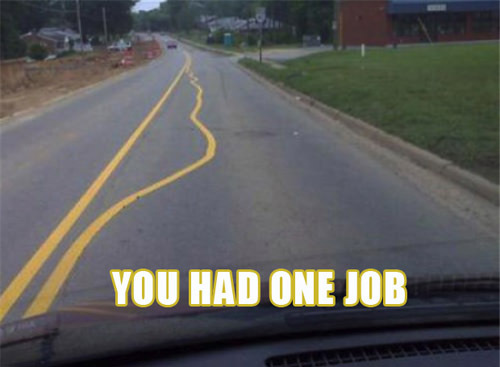 You had one simple job, man, it’s not that hard. You see that sign? 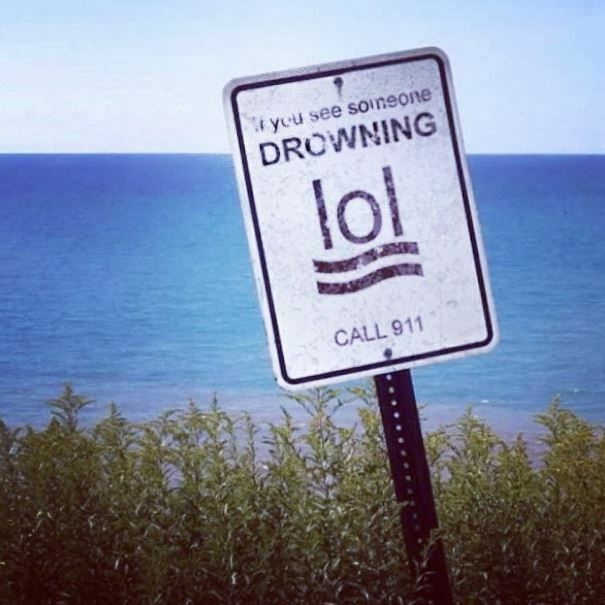 The lines that are supposed to look like someone drowning actually look like the acronym ‘lol’, which mean lough out loud. This sign looks pretty old, perhaps it dates back to before texting invented the acronym, but either way it is a hilarious, albeit insensitive, coincidence. 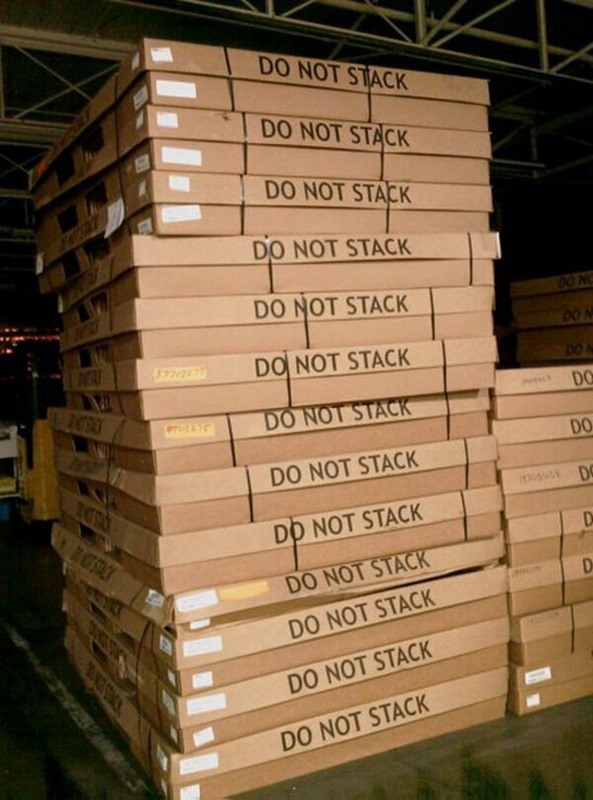 What part of ‘DO NOT STACK’ did this individual not understand? The person whose job was to put these boxes together had literally one job to do – put the boxes somewhere. He clearly did not read the side note on the box, which is pretty hard to miss. We don’t like to mock someone’s intelligence or lack thereof, but how dense do you have to be to read the ‘kit’ number instead of the ‘wording’ section of the paper? It doesn’t even make sense that a cake would have that kind of wording on it! Oh boy. 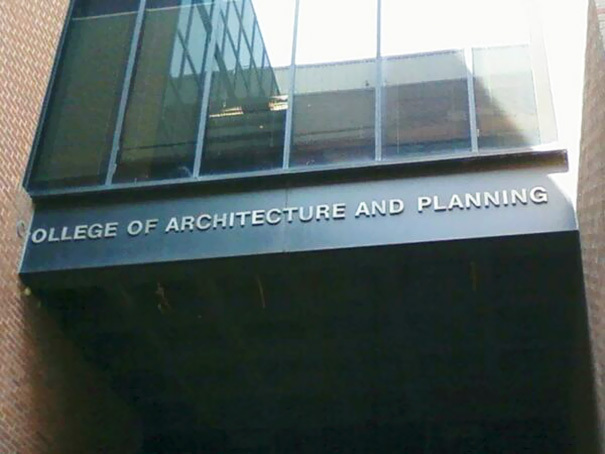 Dear College of Architecture and Planning, we do not recommend a single human being attend your establishment seeing as you, the very people who are supposed to be masters in architecture and planning, do not have enough wherewithal to space out your establishment’s name properly. Please tell us you did this on purpose and we just need to yell at the person who thought this would be funny? Clearly a medal for kindergarten children who get a medal for everything but still, this is just bad precedence. 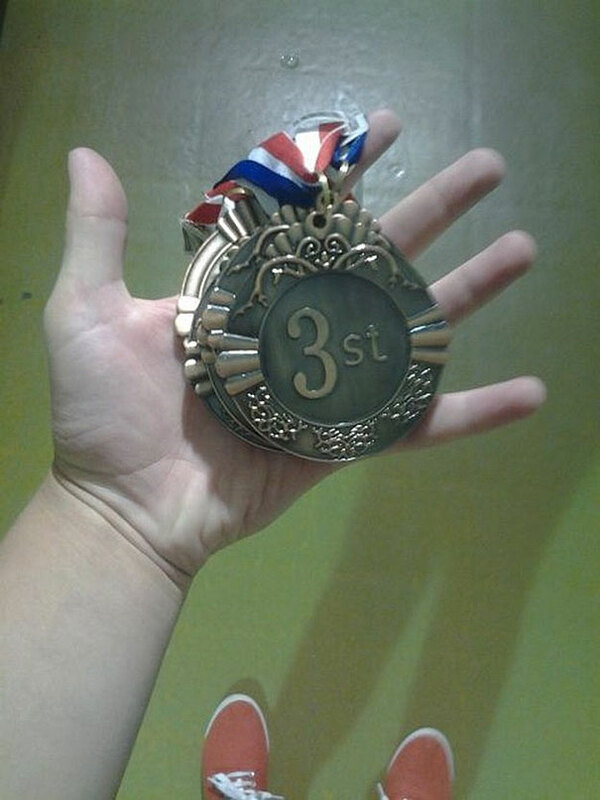 3st? Really? 3RD would have been the correct way of writing the medal number. I wonder who the educator was who didn’t seem to see the error on this piece. Someone’s getting fired… There are two bags here. 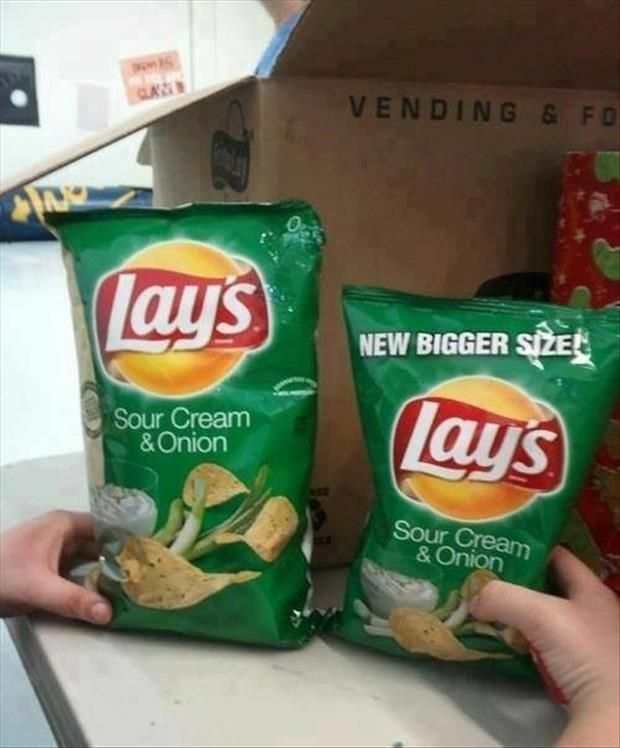 One is bigger than the other, yet the smaller one has the writing ‘NEW BIGGER SIZE’ on it. Go figure! We are sure someone just didn’t pay attention but this is just ridiculous. Then again, the larger sizes are usually 30% air, perhaps there is more in the smaller bag. Is it ice? Is it popcorn? 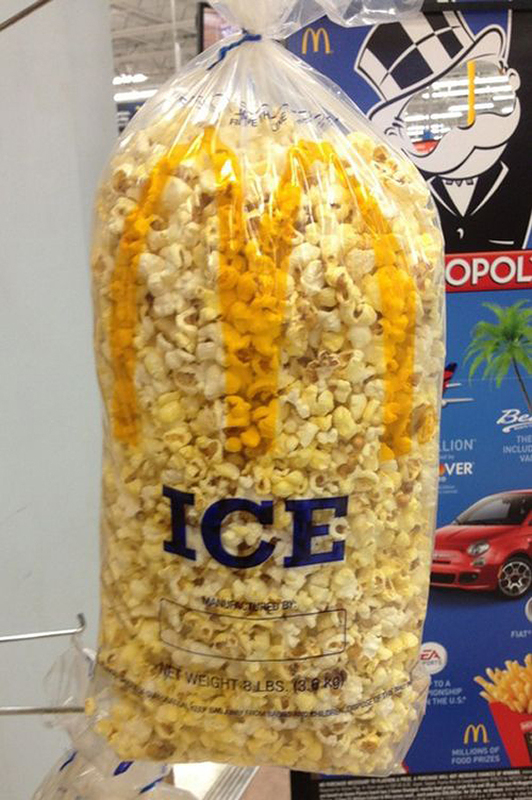 It says ice, it contains popcorn. Oh this is all too confusing! Who would do such a thing to us poor consumers? Seriously though, McDonald’s employee who filled these bags, you literally had one job to do and you failed miserably in doing it. This one made us laugh. If you don’t look up you would think this is a regular beer and wine section of a grocery store. However, if you do look up you will see that someone thought it to be a brilliant idea to put the baby section sign on top. Perhaps this is the section for new moms who need a break from their little darlings? Another day, another cake fail. 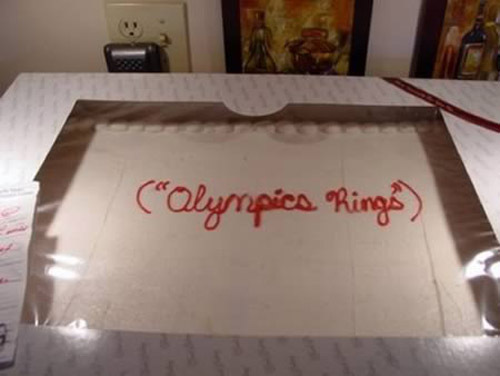 The person in charge of decorating this cake must have seen the writing on the description and thought to himself or herself that the person who ordered the cake just had a thing for the olympic games. Never in his uneducated mind did he/she think that it was a desecration of an image that was supposed to be on the cake. Anyone who has OCD will be very upset to see this one. 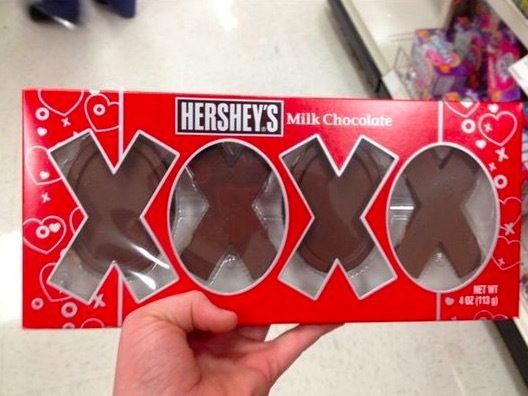 There was one thing that the person who worked at the Hershey’s factory had to do and that was put the X in the X section and the O in the O section, would that have been so hard to do? Talk about mixed messages. We can only assume this is the entrance to a Target store somewhere in the country (thanks to the red doors). 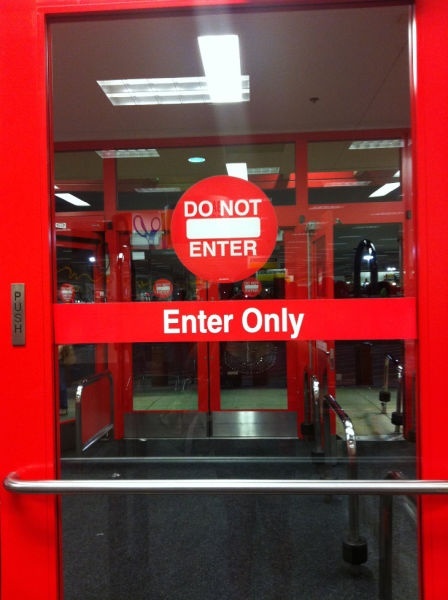 But how is a customer supposed to know that he can enter here if the sign says both enter and do not enter?! 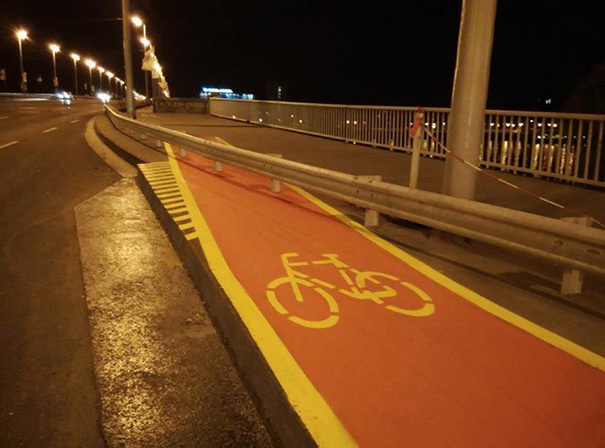 A bike lane is all the rage these days and people take them very seriously. Now this bike lane is beautifully drawn but there is just one slight problem – a metal railing running through the middle of it, preventing any bike rider who can’t fly from crossing it. Who was the brains behind this thing? 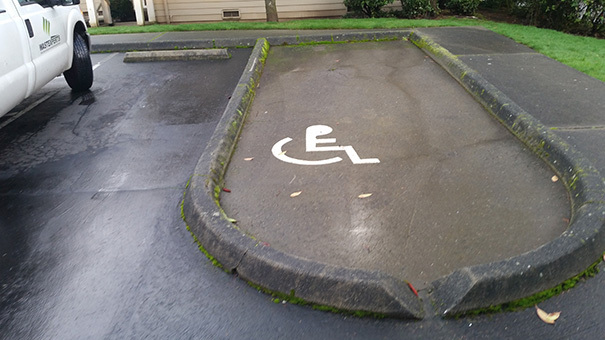 Handicapped parking is sacred, so imagine our dismay when we saw this handicapped sign in an area of the parking lot that no one can actually park in and no wheel chair can go in or out of. We filed this one under very uncool behavior. This would make sense if the bench was in a prison yard but it’s not. 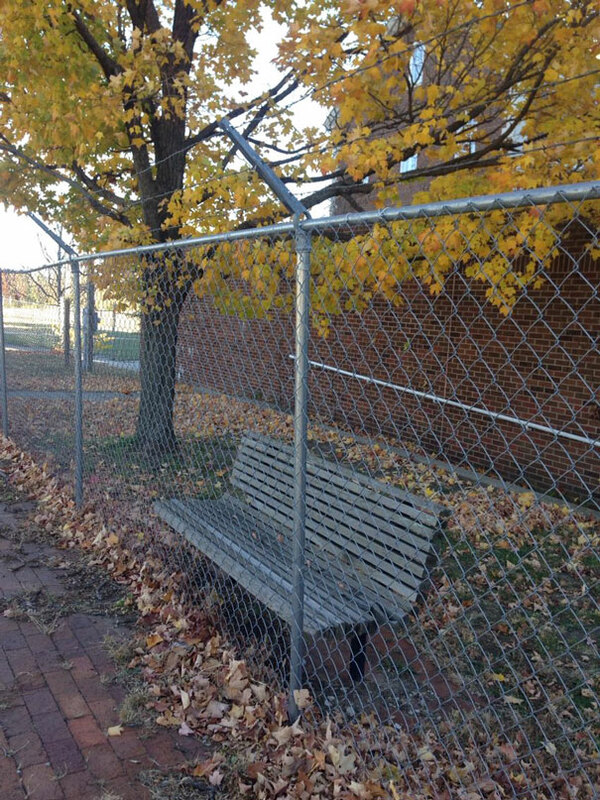 Some genius thought it legitimate to either put a bench in a gated area where no one would ever feel comfortable sitting in, or put a fence around a bench that still makes it very uncomfortable to sit in. This just doesn’t make any sense to us. Dear Mr. 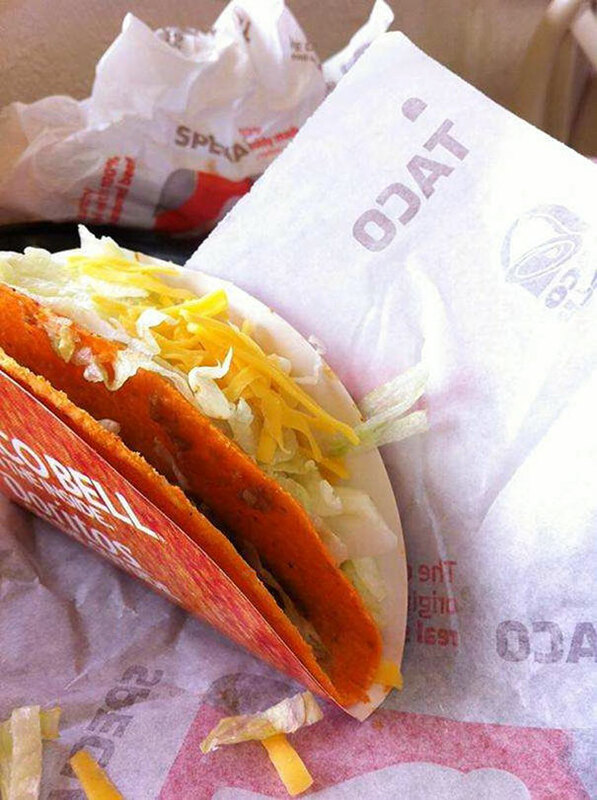 Kitchen Employee at Taco Bell, you are a sadistic human for filling the taco in this photo with air but putting the actual innards of the taco on the outside of it! Some people just shouldn’t be working in anything other than call centers. We will give you two guesses to tell us what is wrong with this photo. Okay, we’ll tell you. 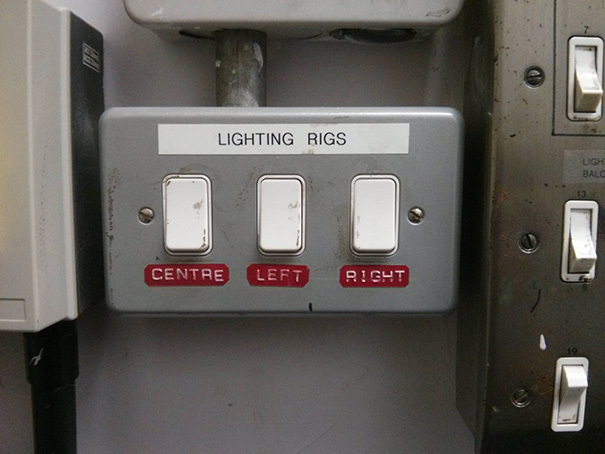 Center should be in the center, the left on the left and the right on the right. The only button here that makes sense is the one of the right! Why must you toy with our need for perfection? Christmas decorations? Well, unless Christmas is about the land of Israel, then this packaging is seriously misleading and incorrect. 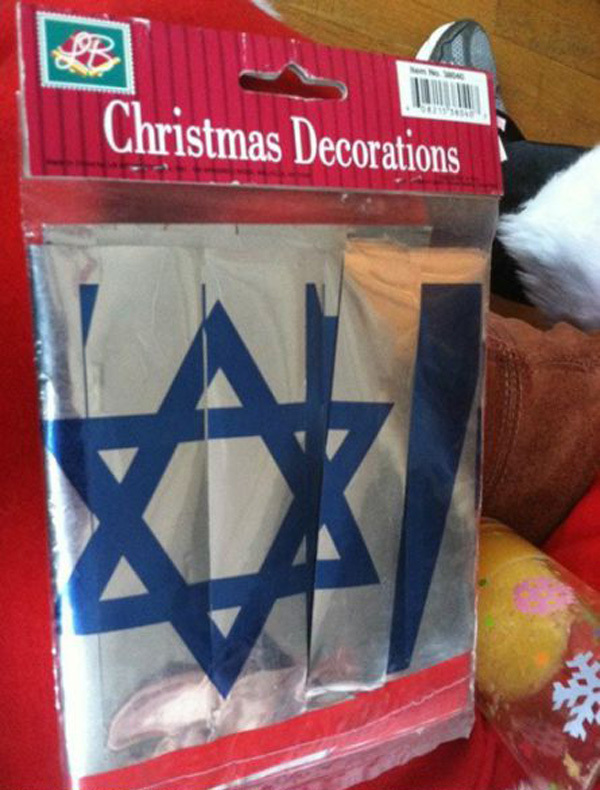 There is a connection between Israel and Christ but we don’t think that people are that literal about their decoration these days. Perhaps this was meant for an Israeli Independence Day celebration? Woman! Look at your sign before you fling it in front of thousands of people in a stadium who are sure to take a photo (exhibit A) and then consider you as silly as a cheerleader is in the movies. Don’t give cheerleaders everywhere a bad name. This is enough to start World War III. 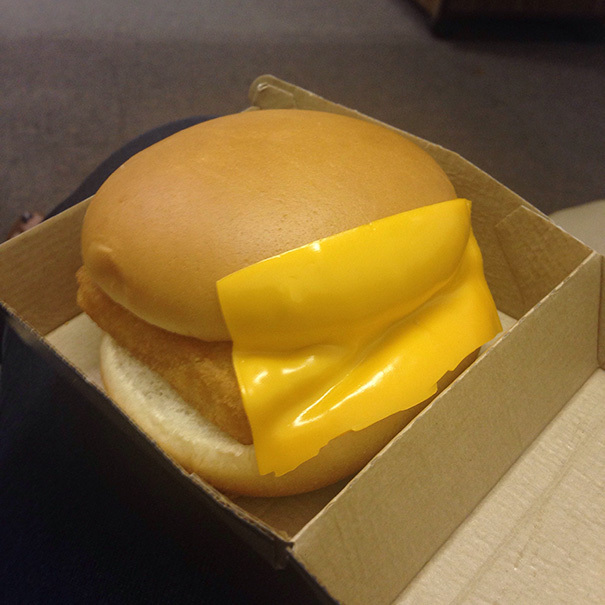 Why would a fast food employee be so cruel as to put the cheese on the outside of the burger and not in its proper place INSIDE? This kind of mean trickery is what starts fights all the time. The job is done well’ NOT! 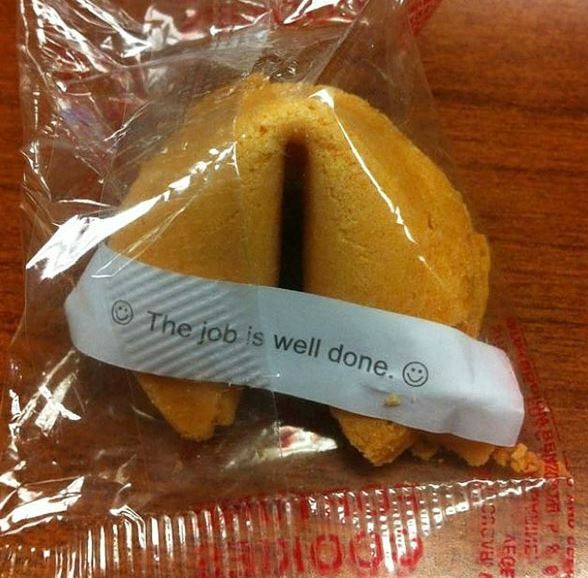 You had one job, and that job was to put the fortune INSIDE the cookie and not just lay it outside of it before it gets wrapped. That defeats the purpose of the fortune cookie to begin with. We all know there is something cool about cracking that baby open and revealing your fate. The sign says one thing and the product says another, we don’t like this kind of playful behavior. 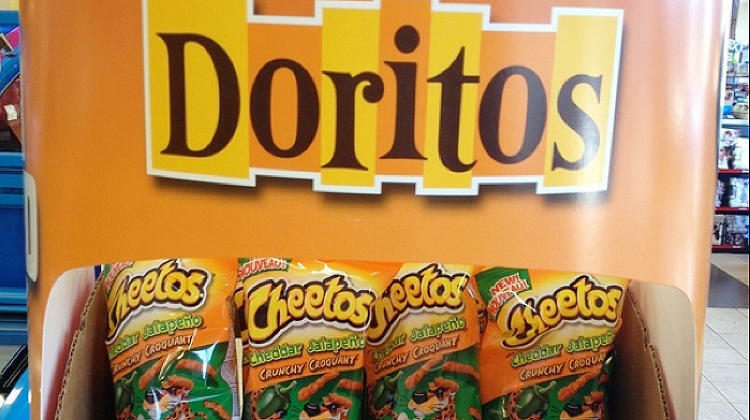 The folks at Cheetos sure had a thing or two to say to the grocery guy who had one job and that was to place the product with the correct advertisement on top. 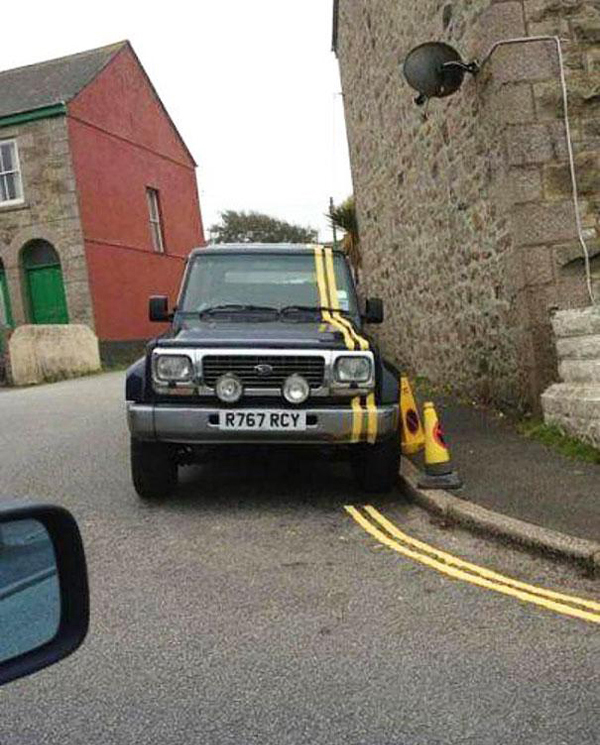 We are pretty sure that the individual whose job it was to paint the yellow lines on the road was drunk the morning he went to work. This not in the least bit straight line is indication enough that there was something not quite right in this individuals calculations. 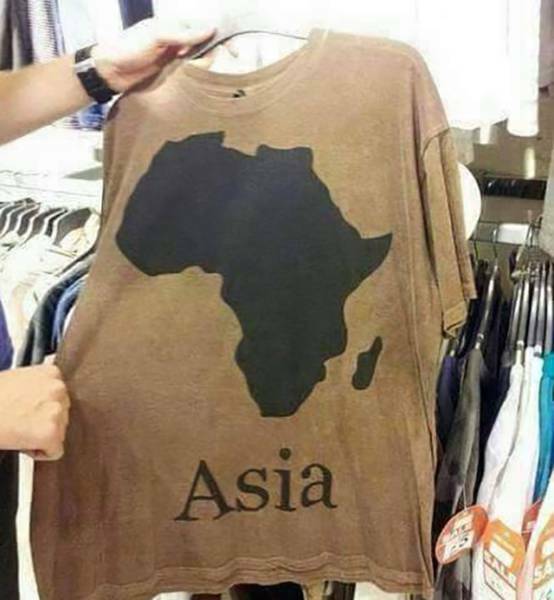 We were certain that Asia was far larger and less AFRICA looking than the image on this t-shirt. While it may say Asia, it goes on to have the image of the African continent. Really, who are these people who make these mistakes? We want to meet you!